Once you’ve had the taste of a good RPG title it’s gonna be quite hard to find another game that will appease your now cultured soul. There will be wins wherein the game will be enjoyable despite it being different from your usual accustomed game styles, like how gamers learned to jump and appreciate turn-based console-style RPGs to tactical dungeon crawlers to active time battle RPGs. It’s the perfect mix of action and strategy that gets players going and keeps them playing even when the difficulty curve is steep. It’s the joy of a challenge that lets you grow alongside your game party. But of course, one downside of the RPG genre is that it always has to go big to deliver on expectations, meaning developers have to invest a lot of time, money, and effort to make a decent title – which means we don’t really get a lot of RPGs these days. People have tried making stripped down mobile versions, but it’s mostly a hit and miss game these past few years. How does a genre that requires some creative incubation time to succeed sell in market where instant gratification and delivery is the dinner ticket? That’s a million dollar question. 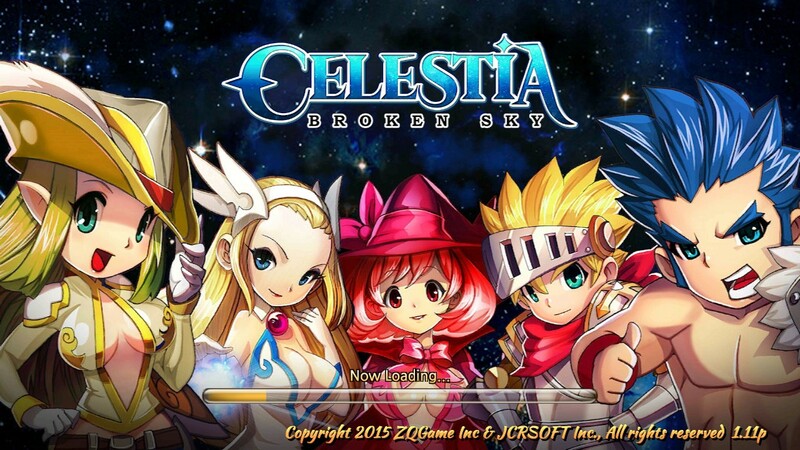 One which ZQGames hopes to answer with their latest title, Celestia – Broken Sky. With a title that cheesy, you know it’s going to be a shallow fantasy RPG with a buffet of all the standard tropes. The art is the first course confirming this theory. Though to my surprise, the gameplay wasn’t as shallow as the rest of the package initially lead me to believe. 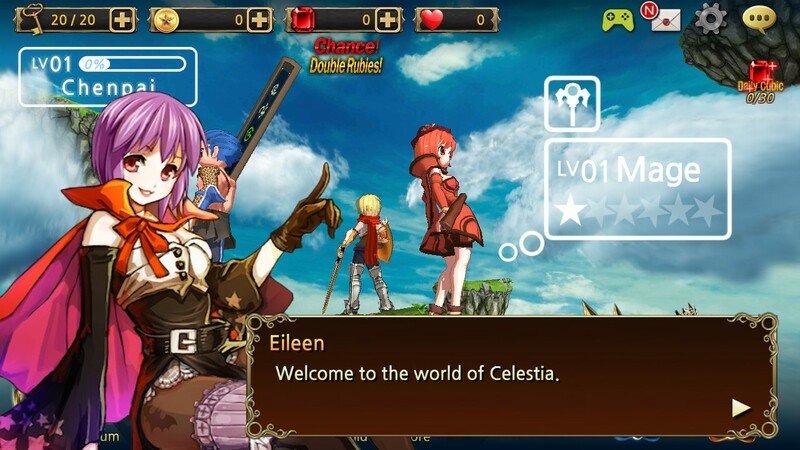 In a nutshell, Celestia – Broken Sky is a free to play mobile active time battle RPG. The game doesn’t waste more time on story than necessary, other than character descriptions notes when viewing their profiles. From what I garnered in these brief snippets, it’s your typical hero tasked to save the world by gathering heroes to fight with you kind of plot. By practice and nature, mobile players usually just skip through the story, if there is any, and jump straight into the action. 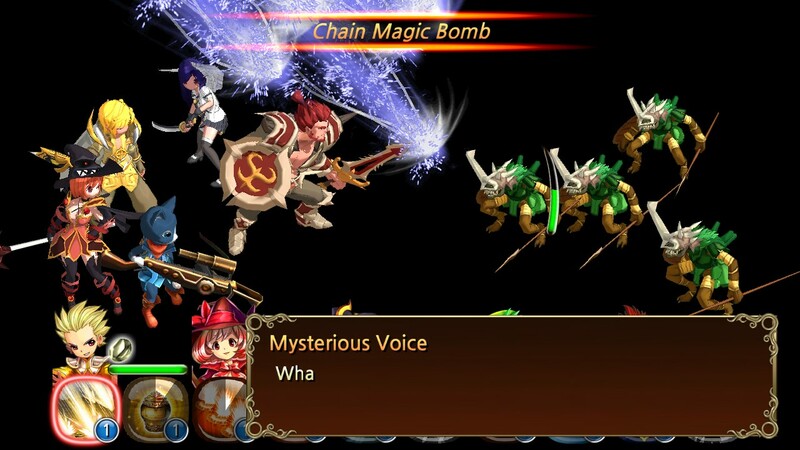 Celestia, for the most part, is a unit collection game, like many in the mobile RPG business today. Units have varying rarities, with stars reflecting strength at a glance. Need a bit more depth than that? Six elements are present for a rock-paper-scissors advantage system. There aren’t that many unique characters as a unit is typically available as pallet swaps in all elements to give the impression of a vast number of recruitables. Majority of the recruitable units are collected as random drops from completed levels. Despite the lack of any real variety, most units are actually very capable of becoming competent high-level characters. All units can be evolved to a higher rarity to unlock better stats and skills. With a lot of the playable characters available through this drop and evolve system, players would be able to have access to almost the entire library of units without having to shell out that much cash. It’s a breath of fresh air in the mobile RPG market, making Celestia more engaging as a collection game that rewards dedicated playtime just as well as wallet opening. The only thing I don’t like about this character system is that your units do not gain experience from battle, and you need experience to level your characters to make them grow stronger until ultimately evolving them into better units. 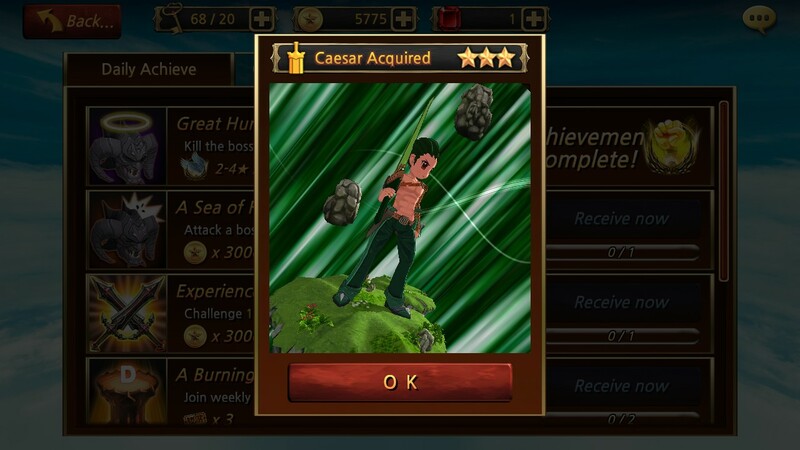 To gain experience, you’d have to feed them units, as mobile games love to do. The problem is that you only get units by either buying them (with in-game and real money) or by getting them as drops from grinding – and they only drop one at a time. This may be a ploy at cheaply increasing replay time, but in the end, it feels like too much effort for most casual players. 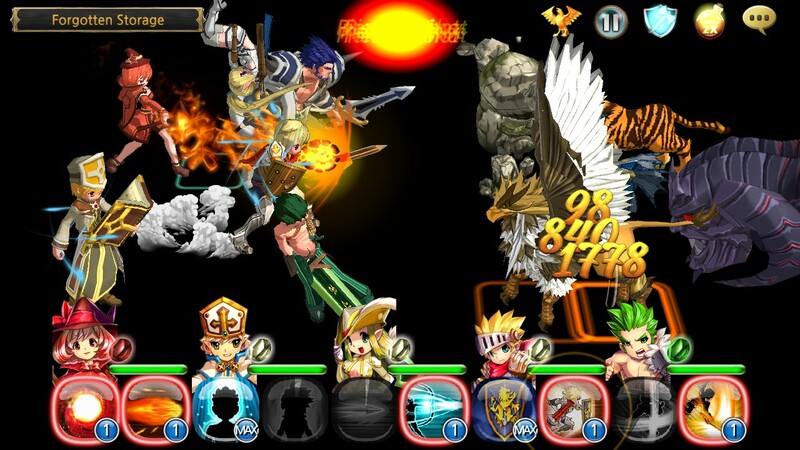 The battle system of Celestia is a little bit innovative as it takes the active time turn based style a step further. Each character has their own cooldown timers based on their base speed, and they will attack as soon as able. Each unit also has two skills available to them and it’s in these skills where tactical combat comes into play. Normally, your characters will automatically only attack the front-most units starting from the bottom lane up. Once the front row has been defeated, only then will your party proceed to attack the next row. This also applies to your own party, except that when fighting the enemy, it continuously cascades until you reach the boss of the level who is 10 rows deep. Skills become vital then in beating maps as they will allow you to attack multiple units or target units you wouldn’t be able to normally reach. 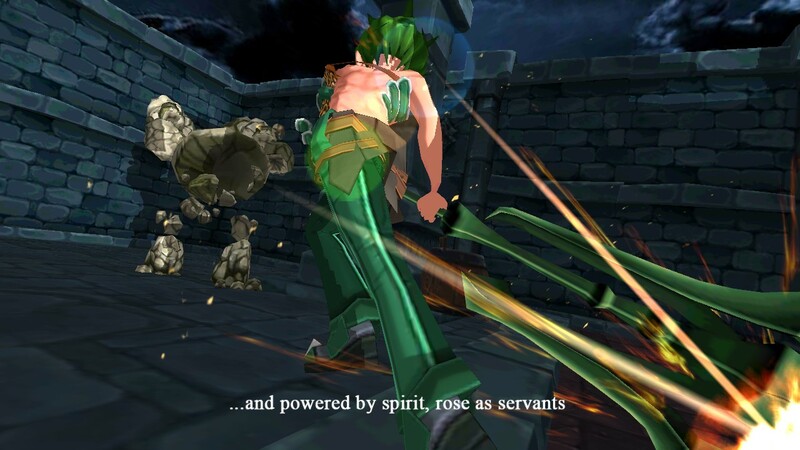 There are attacks that attack an entire row or column, as well as attacks that blast backline enemies. Besides targeting features, you also have utility skills like defense buffs and restorative spells. Skills are manually played (unless you are in auto-battle, which plays a skill automatically as soon as it finishes cooling down) and can be played at any point in battle, even out of turn. Sometimes holding out on a skill can even be tactical as a skill “stocks up” on power every time its timer fills up (to a maximum of five stocks). Activating the skill then uses up all those stocks and unleashes a more powerful version of the skill depending on the stocks accumulated. That goes for manual play. 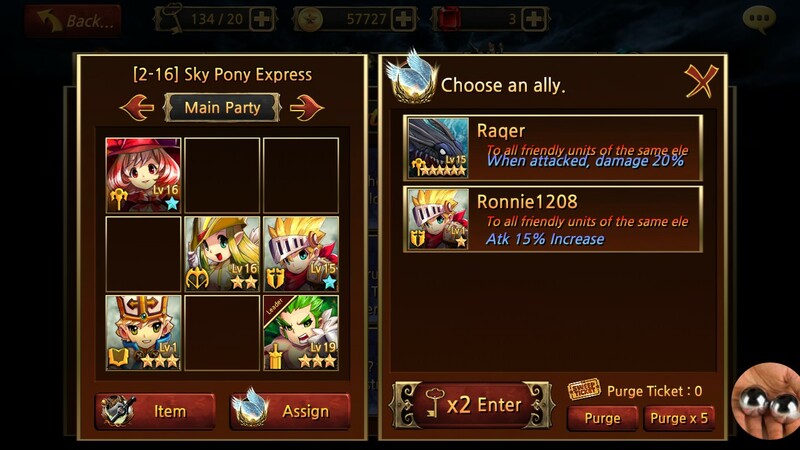 But most likely you will be spending most of your gaming life on auto-battle as your party can take on waves of enemies on auto-pilot as long as you maintain a decent power and level point. Manual gaming would only really matter versus really big boss battles and PVP. In terms of aesthetics, Celestia looks really well-rendered. Animations are so smooth, even when sped up and in auto-mode; it’s such a treat to watch on a retina screen. Character designs are typical of a fantasy game, but aren’t that tacky. Some are even notably cute. As a game that focuses primarily on battle and collection, it only makes sense that they invested most of their development time on the characters and animations. It’s a slight disappointment that Celestia doesn’t really require that much commitment from the player and actually encourages you to just hit auto battle on double speed. Your only actual job as a player is to micromanage your team, but it’s one of the best looking ones out there right now on the free side. 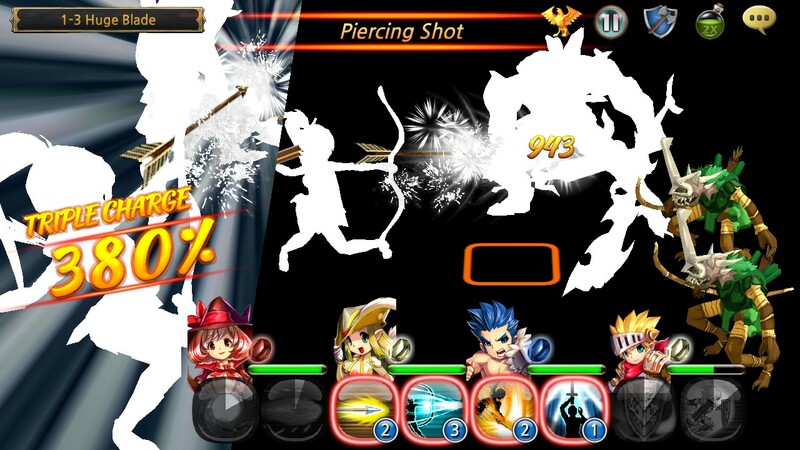 Celestia may not be the new Final Fantasy but at least it takes what works in the mobile RPG platform and tries to cash in on them as cleanly as possible. It’s worth the download if your enthusiasm for your current mobile RPG is waning. RPG fans can at least be assured of being sucked in for tens of hours.